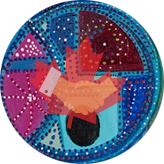 We are partnering with other Native Councils, Friendship Centres, Aboriginal Women’s organizations and Aboriginal service organizations to hold Sharing Circles and to develop a network of resources and supports for community members in their regions. The purpose of holding Sharing Circles is to provide a culturally safe atmosphere that gives people an opportunity to share their stories and experiences in dealing with the law, media and justice systems when a loved one has experienced abuse, gone missing or was murdered. 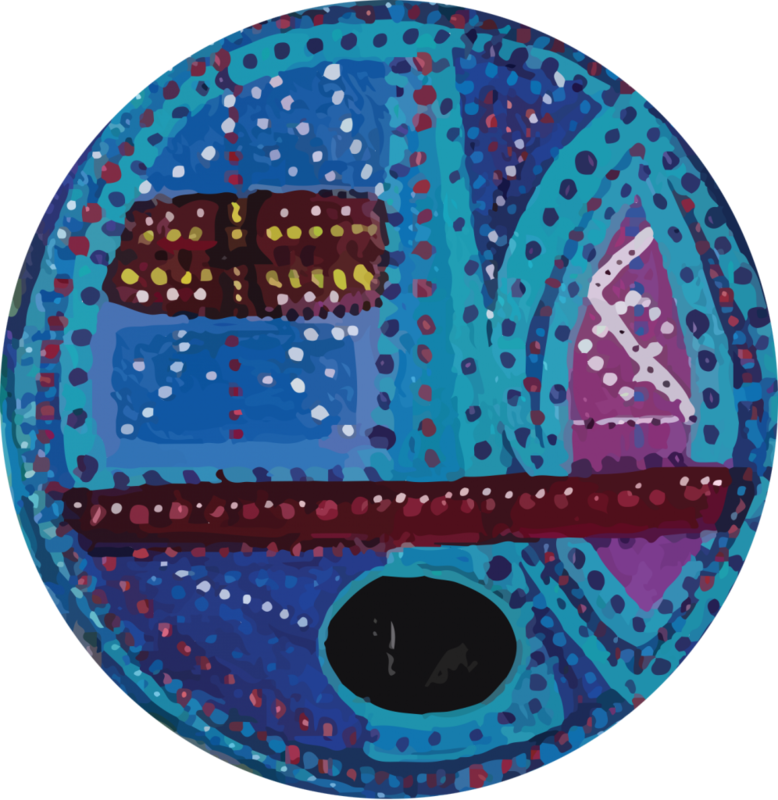 Information gathered from the Sharing Circles will be used in the development of culturally appropriate resources and supports for families and communities of missing Indigenous people. For more information on our Sharing Circles, please check out the brochure. We are working with legal clinics and law firms to provide services to people who are seeking legal supports. We are working with federal, provincial and municipal police services to ensure that risk assessment protocols and tools are responsive to the needs of Indigenous missing persons and their loved ones. We are working with researchers at the University of New Brunswick, Université du Quebec à Montreal, St. Thomas University, Mount Saint Vincent University and Dalhousie University using participatory, community-driven research and community action methodologies that will lead to improved services in the areas of legal and policing services as well as non-discriminatory media practices. 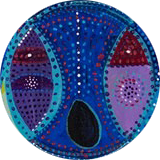 Local Wolastoq artist Susan Sacobie created a piece of art to represent the Looking Out For Each Other project. She says:“This painting is for the missing and murdered Wolastoqiyik & Mi’kmak women that were almost forgotten. 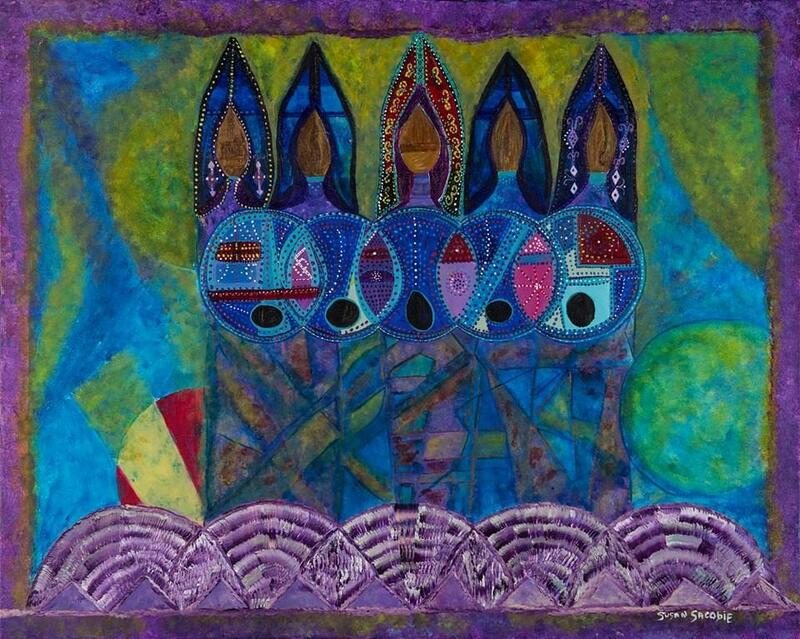 The five women in this piece represent knowledge, faith, wisdom, justice and peace. They are wearing our traditional peaked hats decorated with the double curve motifs. The wampum belt on the bottom is our promise to each woman that their lives will be remembered, celebrated, honoured. The wampum belt is also a promise to each Native woman that we have to rebuild our matriarchal standing within each of our families & communities. We must humble ourselves and learn and teach one another about who we are, where we come from and to not be silent and share our individual stories so we can empower our sisters, stay connected and strong and in turn we keep our families and communities strong. Their connecting shields are protecting us and reminding each of us that it is an obligation and a privilege to guard one another because we are all connected. As mothers and daughters, the living as well as the women who crossed the rainbow bridge we have to tell ourselves and each other our lives matter, we are important and we have to love and respect each other unconditionally and stand together.” These words and the voices of Indigenous women will continue to guide the project. Amanda LeBlanc (Ring), currently lives in Welsford with her husband Mike, and belongs to the Mazerolle Settlement local. 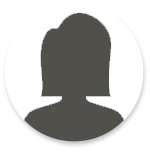 She has just recently graduated with her diploma in Business Administration with a specialty in Marketing. Before going back to school, she worked at a non-profit for five years in various roles from fundraising to program creation and management. She has been involved with the council since a young child, but most recently as the Provincial Youth Director for a few years before running for Vice-Chief in 2013. She enjoys helping people, especially youth, and thrives to help people be their best. She is also a CPR instructor and volunteers for the Heart and Stroke Foundation of New Brunswick regularly. Michelle is the Project Manager on the Looking Out For Each Other project. She is a proud Aboriginal woman of Maliseet decent from the Wolastoqiyik Nation at Neqotkuk (Tobique First Nation, NB). As a graduate from UNB Fredericton, Michelle has been involved with several Aboriginal organizations in various capacities and has served on the Board of Directors for some of these organizations, including the Atlantic Aboriginal Health Research Program and currently with Under One Sky Friendship Center. As a mother of a young daughter herself, Michelle has a strong passion and deep commitment in advocating for women’s rights and equality, including being an active supporter of the Sisters in Spirit Movement. Through her endeavours Michelle strives to be an inspiration and positive role model for other minority women and youth. Elizabeth Blaney has over 30 years experience in community activism. 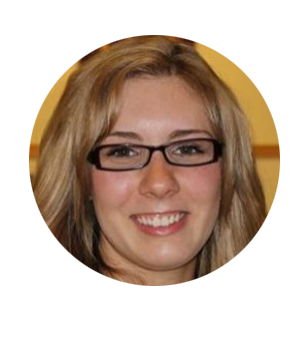 She is currently the Director of Administration & Program Development at the New Brunswick Aboriginal Peoples Council. She has collaborated on and led numerous studies addressing social, economic, and political issues that impact indigenous peoples, women, and low-income populations. She has taught at the postsecondary level across various disciplines including education, women’s studies, sociology, and family violence. Elizabeth has worked at various levels at the community and academic world; she has conducted bridge-building workshops at the grassroots level, developed training for public professionals, and addressed governments and private sector agencies on various policy issues. 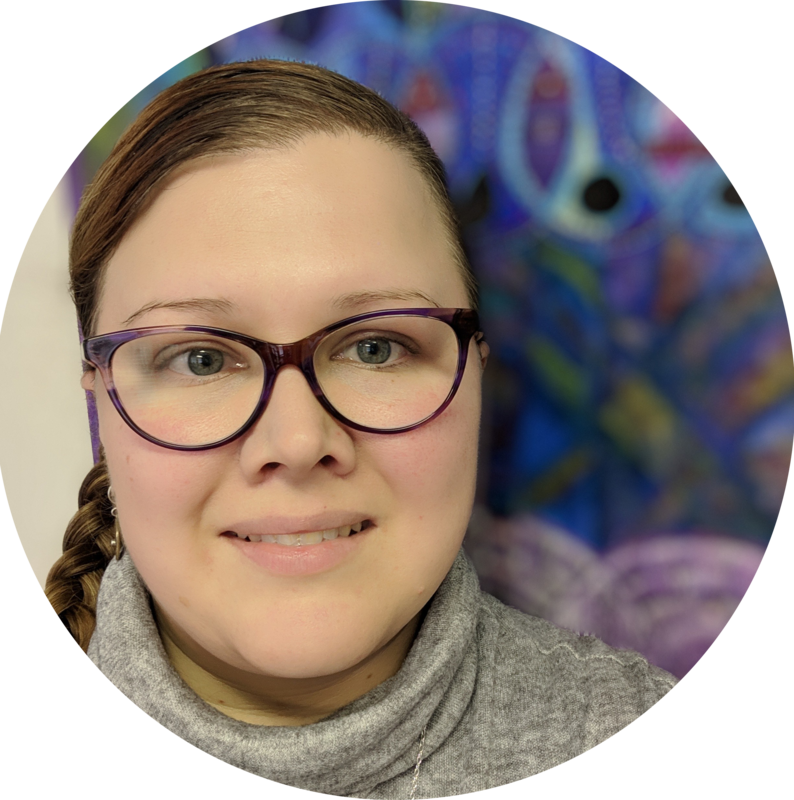 In her current capacity, Elizabeth has pursued four projects examining the experiences of urban Aboriginal people in New Brunswick. She has provided advisory support to the Congress of Aboriginal Peoples, New Brunswick Coalition for Pay Equity, and Reproductive Justice NB. She sits as an ally with the Wabanaki Confederacy. 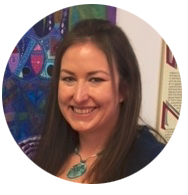 Elizabeth has a doctorate in the sociology of education, masters in adult and community development education, and double major undergraduate degree in psychology and economics. Dr. Jula Hughes is a full Professor of Law at the University of New Brunswick. 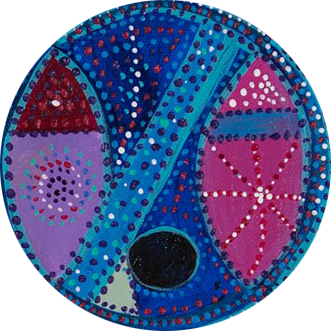 Her research areas are Aboriginal law, particularly the legal recognition of and provision of services to off-reserve and non-status Aboriginal people; and criminal law, particularly the application of criminal law to marginalized populations. She is the Principal Investigator on the LOFEO project. 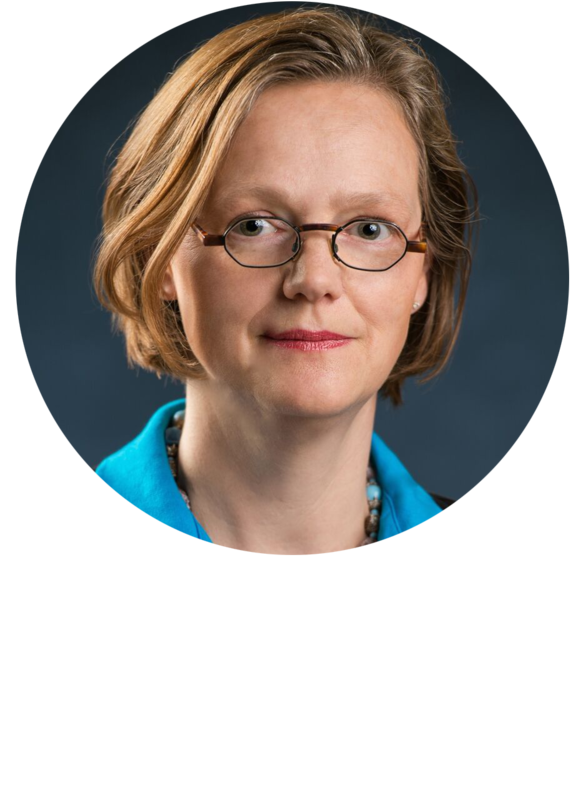 Jula currently teaches Criminal Law, Constitutional Law and Jurisprudence. At other times, she has also taught Criminal Procedure, Labour Law, Collective Bargaining, Human Rights Law, Public Law, and Foundations of Law. She is the recipient of multiple research grants, has published extensively in Canadian and international journals, has contributed chapters to various selections of essays and is a regular speaker at international, national and regional conferences. Jula’s community involvements include the RCMP Advisory Committee on Witness Protection (Chair), the Pay Equity Coalition of New Brunswick (Regional Representative for the Capital Region) Urban Aboriginal Knowledge Network (Member of the Grant Adjudication Committee, Executive Member and researcher); the Fredericton Legal Advice Clinic (Board Member) and the Access to Justice Coalition of New Brunswick (Steering Committee Member). In her ample spare time, Jula enjoys hanging out with her teenage daughters (really! ), hiking, knitting and other craftsy things.